The transport department has requested the state government to provide additional period of six months for new norms for Tracking systems. All new public service vehicles, including cabs and buses, are likely to get more time to instal vehicle location Tracking systems and emergency buttons. The transport department has requested the state government to provide an additional period of six months for it to comply with the new norms. “We have written to the government for more time. The request had come from KSRTC, BMTC and representatives of private cab and bus operators. The Odisha government was given a six-month for it to comply with the new norms. “We have written to the government for more time. The request had come from KSRTC, BMTC and representatives of private cab and bus operators. The Odisha government was given a six-month extension. 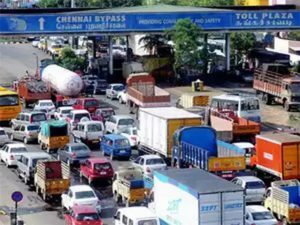 We, too, are hopeful that more time will be given to us,” said Hemant Kumar, additional commissioner for transport (administration), transport department. Nanjundappa wondered what purpose the new system would serve as the department does not have a system to track cabs and respond to emergency. The department admitted there is confusion over who should monitor the systems. “We have no resources to respond to calls received from panic buttons. The department has written to the police seeking support but they have not responded yet,” an official said. It does have access to the centralised software developed by the ministry of road transport and highways (MoRTH) that can monitor vehicle movements. Radhakrishna Holla, president of Bangalore Tourist Taxi Owners Association, said there is no logic in the new rules. “The conviction rate of those who indulge in sexual harassment is low. Little has been done to fasttrack the process. Installing panic-button and vehicle Tracking system in cabs are ad-hoc measures,” he said. In October 2018, MoRTH mandated that all new public service vehicles except auto rickshaws and e-rickshaws, must fix vehicle location Tracking (VLT) with emergency buttons. The rule, however, does not apply to vehicles registered on or before January 1. B Basavaraju, principal secretary of transport department, was not available for comments.